2008 Interzone00. Some rights reserved under the Creative Commons License. This humble little museum dedicated to 19th century French novelist and thinker Honoré de Balzac is located in the writer's house, nestled in Passy, formerly an independent village west of Paris. The novelist lived and worked here from 1840 to 1847, conceiving his monumental series of interconnected novels and stories, La Comédie humaine (The Human Comedy), as well as many other acclaimed novels. Acquired by the city of Paris in 1949 and converted into a free municipal museum, the Maison de Balzac displays rare manuscripts, letters, personal objects and other artifacts. 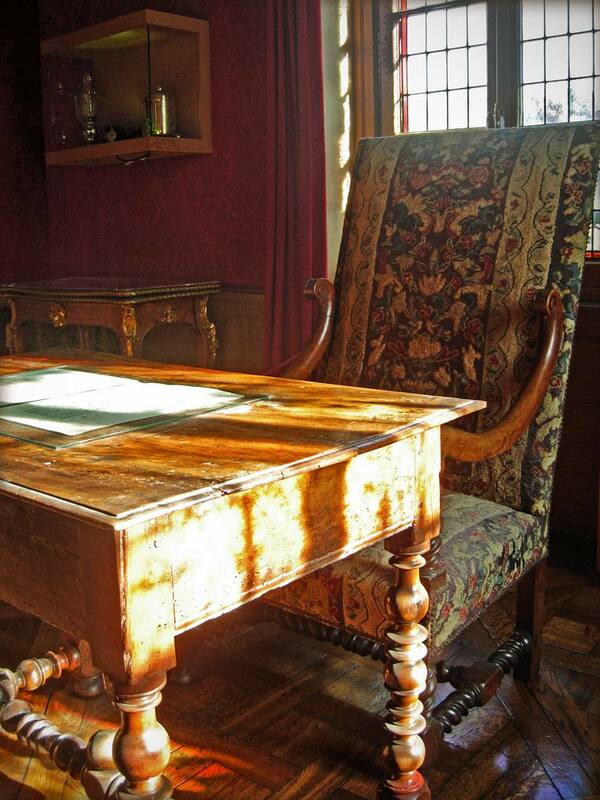 Balzac's office and writing desk has also been partially reconstituted. Whether you're a dedicated fan of the prolific author or are simply curious to learn more about his life and work, I recommend reserving a couple of hours for this under-appreciated museum during a whirl around Paris' west end. The Maison de Balzac is located in Paris' 16th arrondissement (district), in the quiet, charming, and mostly residential neighborhood known as Passy. Restaurants, shops, excellent bakeries, and markets abound in the area, so if time allows, do explore the area before or after visiting the museum. The museum is open from Tuesday to Sunday, 10:00 am to 6:00 pm. Closed Mondays and on French public/bank holidays, including New Year's Day, the 1st of May, and Christmas Day. The library is open between Tuesday to Friday from 12:30 pm to 5:30 pm, and Saturday from 10:30 am to 5:30 pm (except on public holidays). Please note that the museum was temporarily closed in the spring of 2019 for renovations but scheduled to reopen in the summer. The library is open by appointment during this time. Tickets: Admission to the permanent collections and displays is free of charge for all visitors. Entry prices vary for temporary exhibits: call ahead for more information. Entry to temporary shows is free for all visitors under the age of 13. The permanent collection at the Maison de Balzac is completely free and features manuscripts, original editions of Balzac's works, illustrated 19th century books, engravings, and other works of art, including sculptures and paintings of the author. The Salle des Personnages (Character's Room) houses hundreds of typographical plates depicting the characters which populate Balzac's fictional universe. The library carries over 15,000 artifacts and documents relating to Balzac and his times.